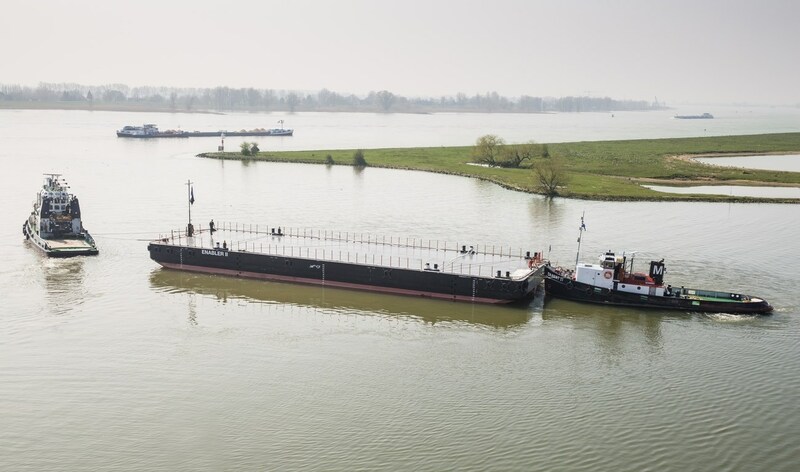 Home › Pontoon › Stan Pontoon B13 › Stan Pontoon 4113 › Stan Pontoon 4113 "Enabler II"
In March 2015, the Enabler II was handed over to FSV Group. The Stan Pontoon 4113 will be used in a fish farm and measures 41.4 by 13 meters with a depth of 3 meters. The barge was built according Lloyd’s Register and operates under the Norwegian flag. It was sold from stock and delivered in just a few weeks!